Perfect for shading any mid-size outdoor area, simply and stylishly. 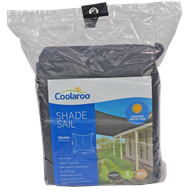 Provides optimal sun protection for your family, car, boat or garden. 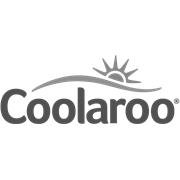 Coolaroo Everyday 3m and 3.6m square shade sails feature a 5 year warranty and are suitable for semi-permanent installations. 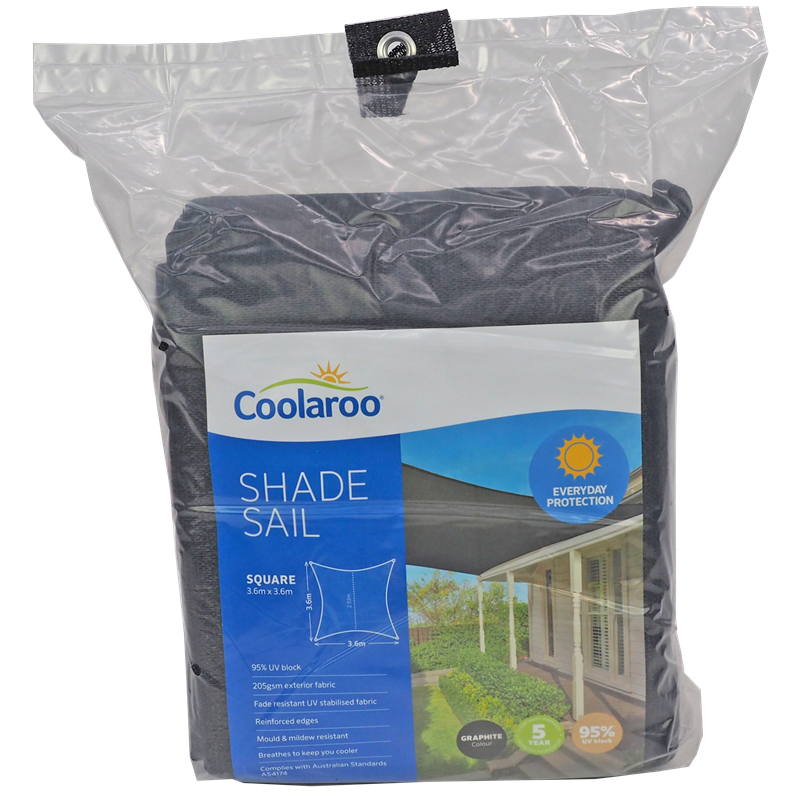 95% UV block provides maximum protection from the extremes of summer. Everyday shade sails come in a variety of sizes and colours and are available in square and triangle shapes.